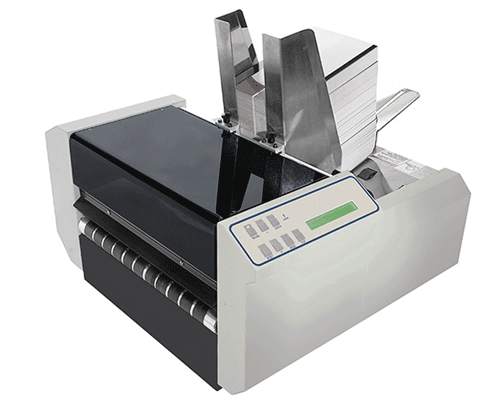 The AS-940 provides the qualities of a production printer with the price tag of an entry level printer. Its advanced technology, precision engineering and exceptional attention to detail make this high-performance system the right one for growing businesses. With a feeding system that has three rows of high grip rollers and the capacity for materials up to 1/4" thick, it can handle any job. The dual print head configuration allows you to add return addresses, indicia, barcodes and more to the primary address in a single pass on a large 2.5" print area for a professional and unique look every time. The AS-940 makes quick work of even the largest jobs.